I am employed by NHS Lanarkshire and my role is associate director of nursing for South Lanarkshire Health & Social Care Partnership. In my role I have professional responsibility for a large range of community nursing services including district nursing, health visiting, school nursing and community hospitals. When I was growing up my mother was a domestic assistant in the local hospital and I would sometimes visit and chat with the nurses and patients. My enjoyment of this interaction influenced my career choice. As a registered general nurse at Lanarkshire School of Nursing, Monklands Hospital. Four years later, I returned to studying at Bell College, Hamilton, and gained district nursing certificate. Being able to have a positive influence on the provision of quality, safe and effective care to individuals by supporting and developing services from a strategic level. I like walking in Scotland – the scenery can be quite stunning. My parents, both of whom are now sadly deceased, taught me to be a kind, caring and considerate person. I have also been inspired by some previous line managers and by my current line manager, who is nurturing, supportive and focused on the quality of care for individuals who use our services and the staff who provide that care. The most important skills required are care and compassion. A nurse should treat each individual with respect, always considering their wishes and taking into account what is important and matters to them. What are the challenges you face working with care homes and how do you overcome them? NHS Lanarkshire has a healthy and supportive relationship with the local care homes. Advice and support in relation to mental and physical health is available from specific care home liaison teams. The care homes also have access to and input from continence advisers and tissue viability nurses. 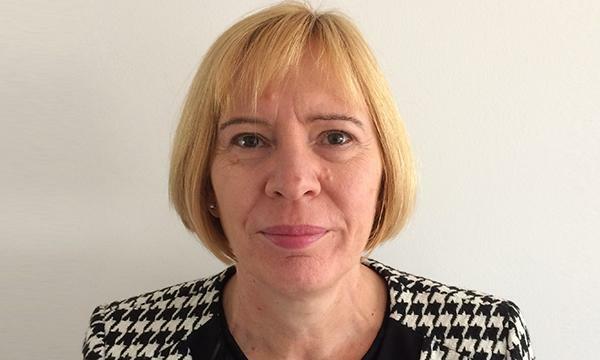 You implemented a continence care bundle into care homes, which led to you being shortlisted for a Nursing Older People RCNi Nurse of the year award. What is the bundle and why did you implement it? We developed and implemented a continence care bundle in two care homes to support staff in improving care of residents and reducing the high use of absorbency products. It has improved quality of life by reducing reliance on continence garments, risk of skin damage, falls and urinary tract infections. What challenges did you come across when implementing the continence care bundle and how did you manage them? Challenges were mainly at the beginning when encouraging staff to test the bundle and to capture and interpret the data to drive the changes in practice. This was overcome by regularly visiting the homes to provide support, advice and guidance. Once the staff started to see and experience the positive results for the residents, the improvement continued. People are living longer, resulting in an increase in the older population. This brings with it challenges in relation to caring for older people who are living with multiple morbidities and increasing frailty. At the same time, we are seeing a real drive towards caring for people at home or in a homely setting when it is safe and appropriate to do so. In support of this aim, older people will experience less time in acute hospital settings. Community services are developing rapidly to support older people at home, with staff skills being developed to enable them to provide acute episodes of care. Some of this skills development is in relation to administration of intravenous therapies and recognition of acute illness and frailty. Nurses are also beginning to take on the role of advanced practitioner, which includes carrying out an advanced clinical assessment, differential diagnosis and treatment plan.